AGOSA is a .ddd 3d object viewer. With special effects available through GLBasic: textures, lighting, cellshade, bumpmap. 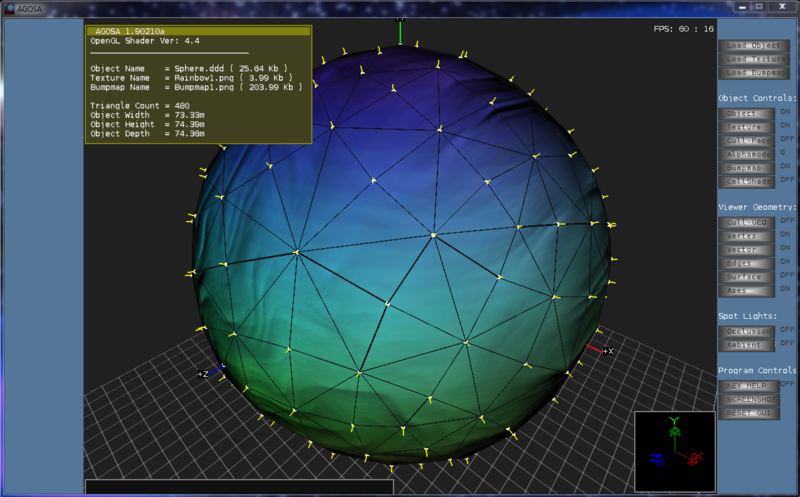 Also it includes geometry views, like edge detect, surface, color vector normals.